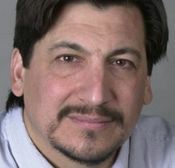 Mark Di Ionno is a lifelong journalist and Pulitzer Prize finalist in news commentary. The former Star-Ledger columnist is a six-time winner of the New Jersey Press Association�s first-place award for column writing. Mark was a sports columnist at The New York Post before joining The Star-Ledger. He is an adjunct professor of journalism at Rutgers University and the father of six children.